Wipro has struck a deal to sell its hosted data centre business, which will allow it to accelerate its shift to cloud-based digital services. India’s third-biggest software services company has signed a definitive agreement to sell its hosted data centre assets, inherited via an acquisition in 2007, to US-based IT company Ensono for $405 million, Wipro said in a press release on March 14. Ensono, a portfolio company of US-based PE company Charlesbank Capital Partners, will takeover eight data centres around the world from Wipro, and also take on some 900 employees at the business unit. Wipro will invest $55 million in the expanded Ensono and the two companies have struck a long-term partnership that will allow Wipro to continue to provide the hosted data centre services to existing and new customers. The market, however, is changing. Large companies are increasingly comfortable with the public cloud model, meaning renting the processing and storage they need, and even specialised software, as tenants on the infrastructure offered by Amazon Web Services, Microsoft, Google, Alibaba Cloud, Rackspace and others. The hosted data centre business, on the other hand, entailed Wipro to maintain large data centres on which customers could privately establish their own IT systems or have Wipro do it for them. Expanding this business would have required continued investments of large sums of money on the servers, the storage, the networks and so on. By selling the business Wipro gets to focus on its services business, including remote management of these data centres. Mishra pointed out that Wipro had also recently reorganised itself and created a separate cloud services unit. With new IT contracts upwards of 50 percent of workloads tend to be cloud-first, he said. Adoption of the cloud model is expected to grow at a compounded annual growth rate of about 30 percent for the period 2016 through 2021, Gartner projects, whereas the traditional data centre business is declining, with negative CAGR of 5 percent or more, Mishra said. It is both very competitive and not really adding value to Wipro, which makes it worthwhile for them to establish partnerships such as the one with Ensono. “As we embrace our strategy of focusing on newer digital areas of spend, our strategic investment and partnership with Ensono will enable us to remain committed to meeting the hosted data center services requirements of our customers,” Kiran Desai, Wipro’s senior vice president for global infrastructure services, said in the company’s press release. 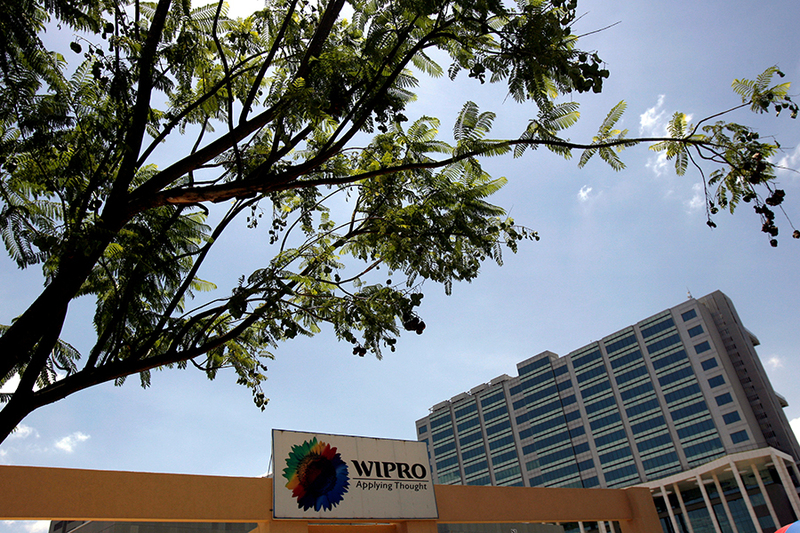 In recent years, Wipro’s growth has lagged those of its peers. CEO Abidali Neemuchwala and Chief Strategy Officer Rishad Premji, are implementing a multi-pronged strategy of breaking down the silos in which the old outsourcing model of Indian IT companies worked, improving business technology consulting capabilities and building intellectual property around which new, higher-margin services can be offered to global customers. Neemuchwala aims for Wipro to catch up with its peers by the end of the fiscal year that ends March 31, but that remains a tough ask.